Zyxel WRE6505 v2 Wireless AC750 Range Extender is a compact, stylish product that extends your existing dual-band Wi-Fi network easily thanks to the one-touch Wi-Fi Protected Setup (WPS) button. With the extender's handy signal strength light indicator, you can effortlessly find the optimal location to install the extender. Equipped with the latest 802.11ac wireless technology, the Zyxel WRE6505 v2 gives you faster wireless connection for your latest mobile devices. 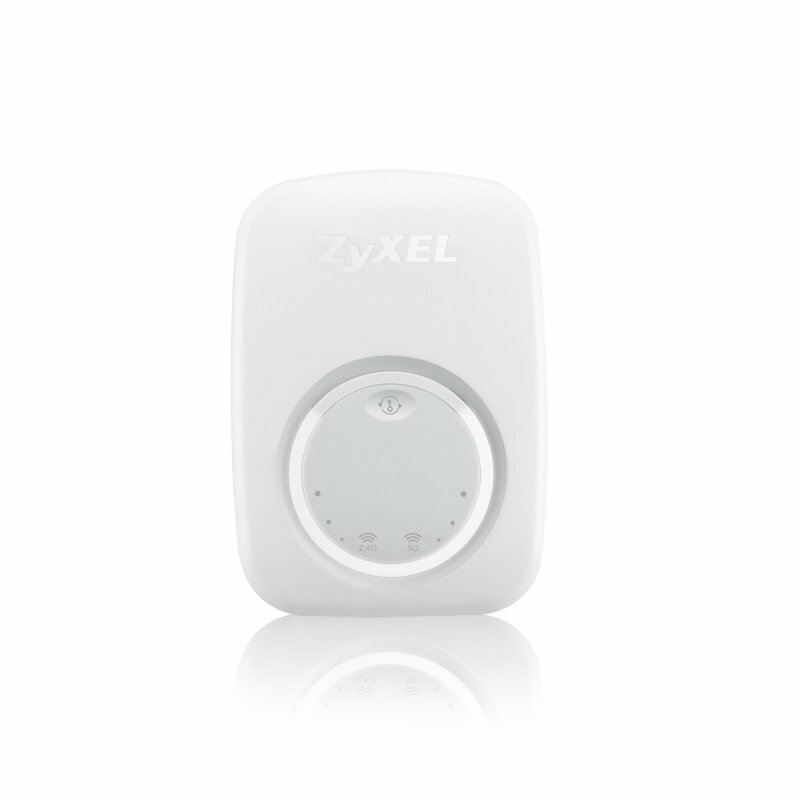 The Zyxel WRE6505 v2 Wireless AC750 Range Extender blends into your homeenvironment easily. With dimensions smaller than a credit card, you can plug the device anywhere that fits. Are its lights distracting? Not a problem, Zyxel WRE6505 v2 gives you that option by simply pressing the WPS button three times! Extend your Wi-Fi networks with Zyxel WRE6505 v2 the way you like. You can choose the Normal Mode to extend on both 2.4 GHz and 5 GHz bands, Range Mode that extends only the 2.4 GHz band for better wireless coverage, or Speed Mode to extend only the 5 GHz band for better wireless performance.